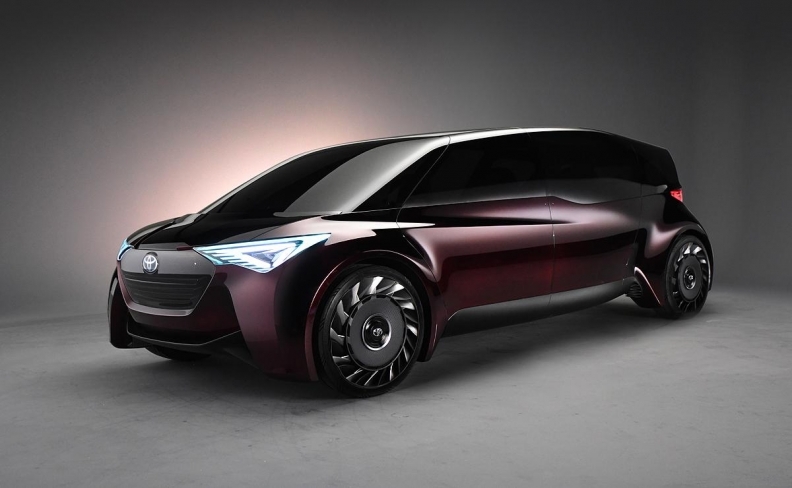 Toyota will present the Fine Comfort-Ride fuel cell concept at the Tokyo show. TOKYO -- Japan's automakers will present their futuristic visions for the post-fossil fuel era at the Tokyo auto show that begins on Wednesday. If only the industry, reeling from a run of scandals, could forget about the here and now. Japan's once-impregnable reputation for quality vehicles has taken a battering. Nissan Motor has just announced plans to suspend local car production and is under regulatory scrutiny after admitting it has used unauthorized safety inspectors. Auto industry supplier Kobe Steel has admitted forging data on aluminum and other materials going back decades. Takata, whose exploding airbags were the subject of the industry's biggest ever recall, filed for bankruptcy in June. Even the auto show has had its dramas. Nissan President Hiroto Saikawa ceded chairmanship of the Japan Automobile Manufacturers Association two weeks ago to deal with the deepening crisis at his company, forcing Toyota Motor president Akio Toyoda to step in suddenly as overseer of the biennial event. Japanese automakers are aiming to use the show as a showcase for their latest technologies, everything from hydrogen-fueled concept cars to their latest redesigned electric vehicles boasting longer driving ranges. "Recent scandals are pouring cold water on this year's show and the impact is very negative," said auto analyst Ken Miyao at consultancy Carnorama. "Tokyo's show is a big consumer-oriented event and I won't be surprised if some domestic consumers shy away from it this year." Nissan -- which holds the title as the global sales leader in electric vehicles -- is keeping its marquee product for the show under wraps, other than to say the vehicle "embodies the future of Nissan Intelligent Mobility." That's Nissan-speak for technologies including electrification, autonomous driving and beyond. Nissan's motor sport division, NISMO, is also presenting a sportier all-electric 2018 Leaf for the show, providing improved aerodynamics and suspension and adding racing-red flourishes both inside and out. It keeps the 400-km (249 mile) range of the base model, which was launched just last month to compete with Tesla's mass-market Model 3. Elon Musk's car has almost 50 percent more range than the Leaf, but comes with a higher sticker price. Toyota, a long-time champion of hydrogen power, will introduce a fuel cell-driven concept that boasts 50 percent more driving range than its current hydrogen-powered Mirai sedan in a technology push that defies a rising wave of battery-driven vehicles. Putting motors into the wheels, and pushing those wheels out to the extreme corners of the vehicle, Toyota has maximized the size of the cabin so that it seats six people in three rows, despite being the same length as the new Camry. The concept car is dubbed the Fine-Comfort Ride, and in automated driving mode the seats can swivel to all face each other making it like a rolling meeting room. Japan's biggest automaker is also showcasing its in-car driving assistant, nicknamed Yui. Based on deep-learning artificial intelligence technology, Yui will serve as a co-pilot and navigator that over time will read a driver's emotions and anticipate their desires. This will be demonstrated in the Concept i-Ride pod car and the Segway-like Concept i-Walk device that Toyota is debuting at the show. Honda Motor is being nearly as mysterious as Nissan about its headline product to be unveiled at the show. The Honda Sports EV Concept set to debut this week is a battery-powered sportscar, built on the same dedicated EV platform as the Honda Urban EV Concept unveiled at last month's Frankfurt auto show, which is slated for sale in Europe in 2019. Like Toyota's concept cars, Honda is including an AI-powered concierge in its models. Some analysts see such innovations as confirmation that Japanese automakers are still trend-setters when it comes to automotive technology. "If you look at some of the core technologies in EVs such as battery materials, Japan still has a remarkable presence," said Mitsuo Shimizu, a strategist at Japan Asia Securities Group. "I don't think Japan's car industry is lost. It remains very competitive." That said, there's no denying that Japanese automakers are facing stepped-up competition from China in the EV market. Under the Made in China 2025 initiative and other mid-term plans, Beijing wants the country to become a dominant player in artificial intelligence and self-driving cars by 2030, and aims to lead the world in manufacturing quality by 2049. "Compared with the Shanghai or Frankfurt shows this year, where Chinese and German carmakers showed a wide range of EV exhibits, I do think Japan is lagging in EV competitiveness," said Miyao. "I'm concerned Japan's auto sector will fall behind overseas rivals in the long run."